During my exciting stay in Vienna, I was welcomed with open arms to the lovely Hostel Ruthensteiner. Located in a quiet part of the city near the Westbahnhof train station, this hostel is a bit of a classic. Well managing to cater to a wide demographic, and featuring a fairly large number of beds, Ruthensteiner still manages to maintain its friendly and homely atmosphere. The location isn’t great, but it isn’t terrible either. You’re quite a distance from the center of town, which is the downside. 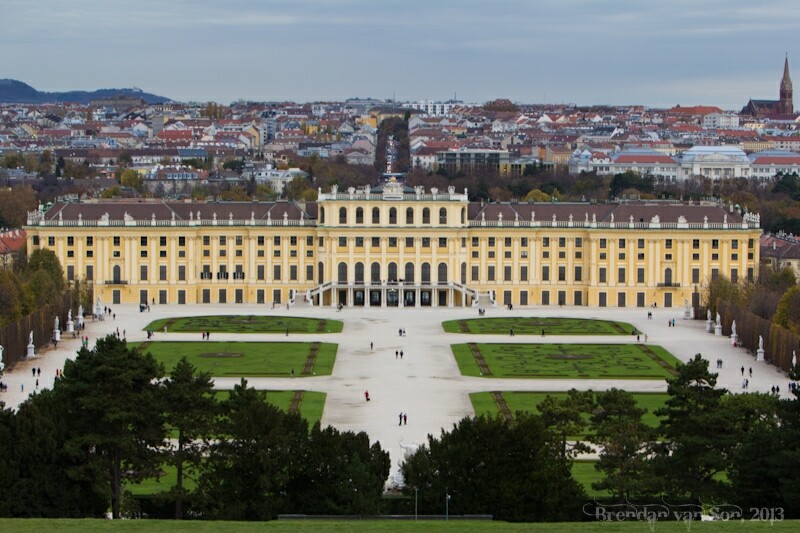 The brightside is you’re fairly close to Schonbrunn Palace which is likely the highlight of any visit to Vienna. 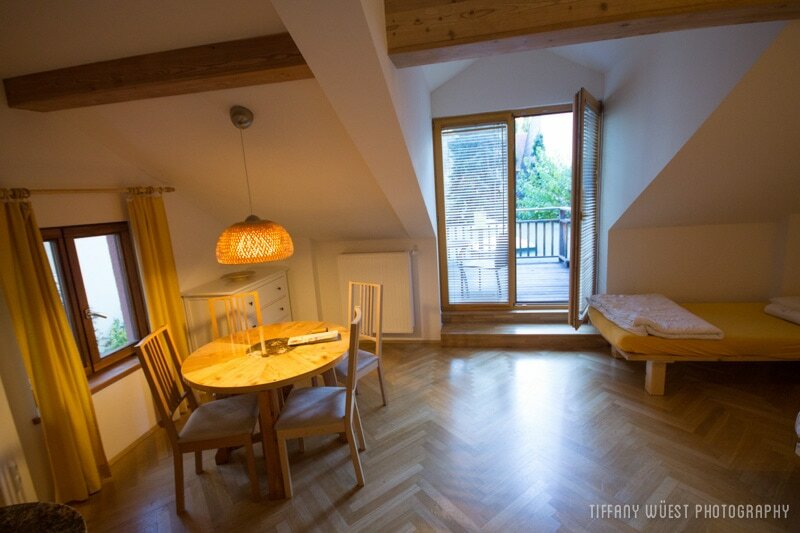 The distance to downtown is made less a problem by the fact that the hostel is one a 3-5 minute walk from Westbahnhof train station meaning that you can connect quickly to just about anywhere in the city via the subway. There are a couple decent restaurants nearby as well, so in terms of grub, you’re not really stretching in search of food. 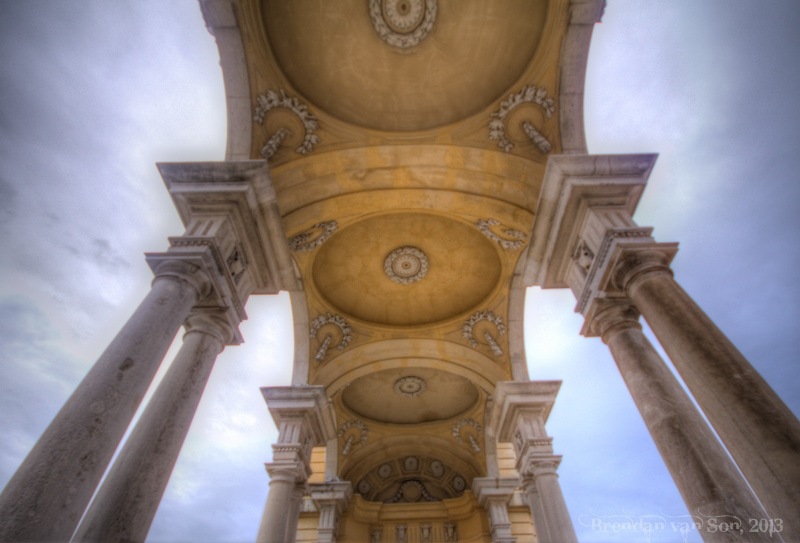 Check out where I ate in Vienna. The rooms at Hostel Ruthensteiner are pretty fantastic. The room I stayed in had plenty of space, a little kitchen, and a small deck. We toured the hostel and saw that the dorms and other private rooms were also very nice. There is little to nothing to complain about the rooms. All rooms are have a nice amount of ambient light, there are loads of plugins, and there is either an attached bathroom or a sink in each room which is nice. The facilities are as good as they get at a hostel here. You pretty much have everything you need. There is WiFi that runs quickly throughout the property. There is a nice sized kitchen, a bar, laundry facilities, and lots of nice common space. It’s the common space that really makes Ruthensteiner a nice place to stay, especially as a solo traveller. I think this was the easiest property in Europe I stayed at in terms of meeting people. Beyond the usual facilities, the hostel also provides a storage area for bikes, rents bicycles, and offers cheap breakfast in the morning. The atmosphere is good at Ruthensteiner, and it really can feel like a number of different hostels at once. The main area feels very homely and peaceful, the common areas are a bit more lively, and then the bar area is more exciting. 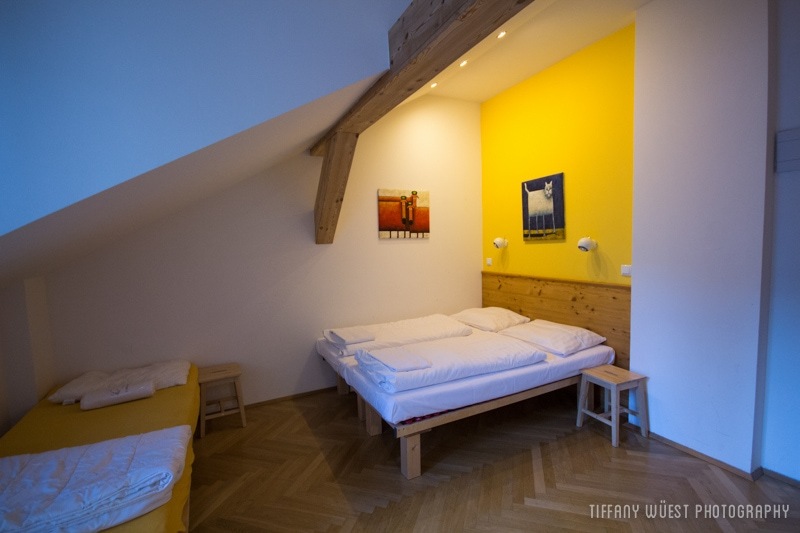 The style of the hostel kind of mixes together classic Viennese decor with a more modern edge. It’s a cool place to be sure. For more information about Hostel Ruthensteiner, check out their website by clicking here. When I used to work in other parts of Austria, I had a lot of colleagues who stayed at this hostel on weekends off and they’d rave about it. I might even have to try it myself sometime! You definitely should Sam, it’s really the perfect home away from home!